Every office bathroom needs a set of unwritten rules – because they need to be said. It is the best way to ensure washroom etiquette at the workplace. Otherwise, your field trip to the loo will always be unpleasant. 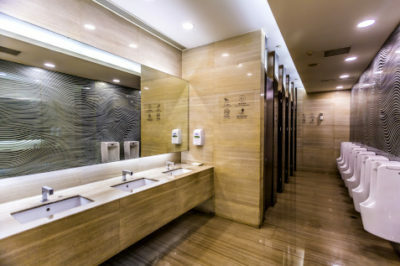 Managed washroom services including feminine hygiene, hand hygiene, odour control, washroom sanitizers, etc. So, what are these unwritten office washroom rules we’re talking about? You go to the bathroom to attend to private business, right? So does the next bathroom visitor, and the other one as well. Therefore, while at the bathroom is neither the time or best place for awkward or formal greetings. Can you imagine shaking hands with someone while at the washroom? It’s a disturbing thought, right? So what are you supposed to do? We hear you cry. If you are at the urinal, give your colleague a nod and go on to do your thing. If you are at the bathroom sink washing your hands, then a quick “Hi” or “Hello” will suffice. Speaking through the stall walls is an absolute no. (Unless you are asking for toilet paper because yours run out). Another exception is if you are both walking out of the toilet at the same time. By all means, chat away. Yes, yes, the washroom is a place for stinky business. But even so, mind the other toilet users. If you must fart, especially at the urinal, do it silently. There’s no point of releasing a loud and satisfied fart. Research says most people fart about 14 to 22 times a day, so there’s nothing wrong with you. Just mind the timing. Do you really have to carry your phone to the toilet? Remember you are going to attend to your nature urgencies in private. So why carry your phone with you? Besides, carrying your phone to the bathroom could cause you illness. “Touching your phone between using the toilet and washing your hands is a very bad idea,” Dr Paul Matewele, a microbiologist at London Metropolitan University told The Sun. Worse still, your phone can drop in the toilet. Also, the person you are speaking to on phone can hear everything (read all the toilet noises). Isn’t it plain disrespectful? Check out other dangers of using the phone in the toilet. Without proper etiquette, it will be agonising for you to use the urinals. Thankfully, there is a Bro Code to be maintained at the urinal. Maintain maximum distance when entering and choosing a urinal. Get as much distance as possible from any occupied urinals. And while at it, also think about those that may come during your number 1. Your eyes should look straight ahead. Don’t peek at the person in the next urinal. In fact, looking anywhere below the head is a NO. Don’t stand too close to the urinal nor too far from it. Once finished, fasten up your zip/button fly before you break away and turn around to leave. Take a look at this video and be informed. Don’t carry your newspaper, magazine or any other reading material to the toilet. You may plan to catch up on the trending news for the day, but not in the toilet. The amount of contamination that you will be exposing yourself to if not worth it. Plus, you may cause unnecessary ques in the toilet because you are taking too long in there. Within the confinement of the bathroom walls, you have the privacy to relieve yourself without being rudely judged. And in the process, you or the person in the next stall makes noises involuntarily. We can all agree that the noises are not good. But we’ve all made them. Some huff, some puff, some splash, some blow. Bottom line is we all learn to live with the noises. No sniggering. You need to let other toilet users be. Picture this: You are in the toilet, and then you realize there is a locked door and total silence. Someone behind that door is in agony. (That someone may be waiting it out). Therefore, do your business and leave swiftly. Don’t linger at the mirror longer than it is necessary. Don’t do your makeup. If you’ve just dropped something really bad, flush before finishing up. That flush is termed as the “courtesy flush” and it helps to reduce the stench inflicted on neighbouring toilet stalls. Don’t be that guy. Observe the courtesy flush. If you had a rough bowel movement, and even after flushing twice, there is still evidence of what you did, you need to act. Reach out for the toilet brush, clean off anything unsightly and flush again. Wipe the toilet seat clean and leave the stall knowing you’ve left it better than you found it. You love your body spray. And that’s okay. But, that doesn’t mean that everyone else loves your spray deodorant. Therefore, don’t assume that when you spray yourself in the bathroom, everyone will enjoy the scent. You’d be surprised to realise that everyone else in the bathroom feels like you are spraying a toxic gas on their face. There is absolutely no good reason to spit in the office bathroom sink. It is uncouth and you will end up grossing the other bathroom users. So where should you spit? In the toilet stall where you have all the privacy. Just remember to flush after. Also, don’t spit chewing gum into the sink, urinal, or toilet. Wrap your gum in toilet paper and throw it in the dustbin instead. Is there a worse feeling than touching a wet door handle on the way out of the office toilet? 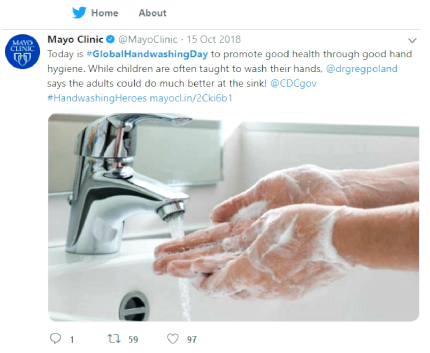 Proper hand hygiene cannot be stressed enough. It is a life-saving habit. But once you wash your hands properly, you need to dry them thoroughly. Because bacteria prefer wet hands. You see, after washing your hands, some bacteria may remain on your hands. Such bacteria spread more easily via wet hands to dry hands. So what can you use to dry your hands? There are many options, but the best hand drying solutions are hand drying air and hand drying paper towel. Once you get inside the stall, confirm that there is toilet paper. Don’t start your business until you see the toilet paper. If there is none, get some more or ask the person in charge to replenish. It is also courteous to warn the next person that there is no toilet paper at the moment. In case you are the one replacing the toilet paper, set it up properly. Watch this video to learn the right method of hanging toilet paper, according to science. Is it the waterfall method or the underhand method? Find out next. These unwritten office washroom rules should be followed by everyone in the office. They are simple rules. Yet you’d be surprised how many people break them. Therefore, share these rules with all your colleagues. It’s the best way to ensure your workplace washrooms are decent for everyone. Fresh & Clean can offer the essential solution to keeping your workplace fresh, hygienic, and healthy for less. Get in touch with Fresh & Clean today.